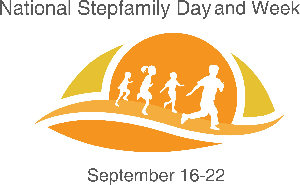 National Stepfamily Day is Sept 16th and I’d love to talk to you about why it’s important to celebrate this special day and offer suggestions and ideas. Stepfamilies have come a long way since my husband and I first merged our families together in 1990. Back then, there was little information about support and advice in how to come together, understanding our roles as stepparents and dealing with exes and stepkids that weren’t welcoming of us. Today with the internet and social media, millions of stepmoms and stepdads around the world can search and reach out to other stepparents to get support and advice. Many have found comfort in knowing they are not alone or going crazy in their stepmom journey. When Christy Tusing Borgeld decided to start National Stepfamily Day in 1997, I don’t think she realized the impact she would have on the people that became stepfamilies. She helped to bring us out of the shadows and to shine, to show that there are great people that become stepparents every single day. She inspired many, including myself, to promote and become advocates in creating positive images of steprelationships. Families are managed and maintain. It’s like a garden. If you neglect the garden (or your family) the weeds will overtake everything. Forget to water and feed your plants and they wither away. When you don’t spend time together as a couple and a family, there’s nothing left to hold on to, when the storm comes crashing in. Steven Covey uses a great metaphor to help with relationships. And that’s “Make daily or weekly deposits into your happy account.” Now what this means is find something, anything that will create joy or a smile on your partner’s face, the kids, and even your ex. Every single day or at least several times a week, think of one thing you know you can do that will make someone smile and be added to that “Happy Account”. When that storm comes, and it will, then you have something to weather that storm, to anchor the family. We can’t always be focused on solving problems. It eats up too much of our energy, leaving us feeling empty, and creating the perspective that your family is always in problem solving mode and forgetting to have fun. I’d like to share with you part of a list Christy created for National Stepfamily Day as well as some of my favorite things I enjoy doing with my family. Make a family vision board. This is my favorite thing to do. Every year, around the holidays, my husband and I write down what we’d like to create in the coming year. It really helps us to create excitement, anticipation and fun in our relationship. I also do a personal vision board as to what I’d love to see happen in my family, in my personal and professional life. When I feel discouraged, I look at those boards and become inspired once again. It gives me hope. Read a book together or write your own story and create pictures or drawings to include in it. Have each member contribute to the book and then sign it. Make a photo scrapbook. Share your special moments and write notes of why these pictures were special. I made each of my stepdaughters and son one when they turned 18. It’s amazing the healing that occurred for me during the making of these scrapbooks. Create a video where everyone says something positive about each member of the family. Or a video montage of the best moments spent together over the last year. Hang some stockings and create little anonymous handmade gifts or cards to share with each other. Make a family t-shirt either painted by hand or have your family portrait printed on it. Make it a yearly tradition. Create a puzzle out of your family portrait and enjoy putting your family back together. Go on a picnic, do a street block party, do a pot luck with other stepfamilies in your neighborhood. Go out to dinner and then a movie – and then start a conversation about the movie with the kids. Ask them what was their favorite part in the movie. If they could be in the movie, who would they like to be. Ask the kids what they thought the movie was all about. Cook your favorite meal. Or have everyone pick what is there favorite and create something special. Even if you eat Coco Puffs with steak, it will be a meal that you’ll be talking about for years to come. Create a new meal, or try a new recipe and have a tasting contest. Give out awards or tokens. Make a family recipe cookbook that you can add to each year. When your stepkids move away from home, they’ll have their own personal recipe book reminding them of home cooked meals. Make a great big cake, and put your family picture on it. Bakes some cookies and make smiley faces. Or put each person’s name on the cookie and personalize them. Have a game night, play charades or create teams and play some video games. Listen to music or dance to it together. Create some new moves or show the kids some of yours, if you dare. Take a road trip, go to the beach and make sand castles. Visit a farm, museum or a zoo. Go camping. Amazing how nature can bring us closer as a family. A great story here about one stepmom that loved being outdoors but wasn’t sure she was ready to go with two teens ,who didn’t care for her at all. After creating some strategies and making plans with this stepmom, she found out that she and her stepkids had more things in common than they realized. Being outdoors provided the opportunity to have conversations that may not have been available at home. That camping trip was the start of creating a new family together. Have a campfire and share stories. It brings people together. Story telling is the oldest way of sharing our values and beliefs to the next generation. White water rafting, rock climbing, or zip lining are great team building activities, especially for stepfamilies, to learn to support each other. Watch the stars and the moon. Fly kites. There is something magical about seeing a kite fly and float in the air. Blow bubbles. It brings the child out in us. It’s the simplest and yet most fun you can have particularly with young kids. While at an outdoor concert with my granddaughter, we started to blow bubbles. It was great to see all the little ones (and some older ones too) try to catch those bubbles. The smiles it created on those faces was priceless. 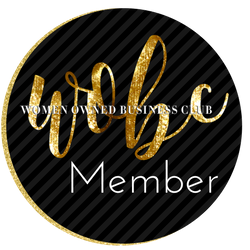 •And my favorite activity is Table Topics – a great way to get the entire family started on having a conversation. Some for all ages and occasions. They now have a Table Topics Family Time Idea Cards. So no more excuses and not having any ideas as to what to do. As you can see, the only limit is your imagination. When we grow older, what is the most important to us are the times we’ve spent as a couple and a family. It’s not how much it cost to send our kids to school, or all those expenses that should have been someone else’s. In the end, what most important is the quality of the relationships we created, and managed, the time we take to enjoy those precious moments of stillness, of togetherness and sharing memories. Look for the positive in your family and relationships and make daily or weekly deposits in your Happy Account. Have a great celebration for National Stepfamily Day.